The days might be getting cooler with fall, but that doesn’t mean you need to ditch the cold coffee. Here are some ways to get your iced coffee fix this fall – including a drink of the avocado variety! Coffee and chocolate pair well. Trying mixing the two in your next boxed baking kit! Use coffee where the recipe calls for water. We’re all about eco-friendly. That’s why we’ve rolled out a line of sustainable solutions. We value a partnership that collaborates to care for the environment! 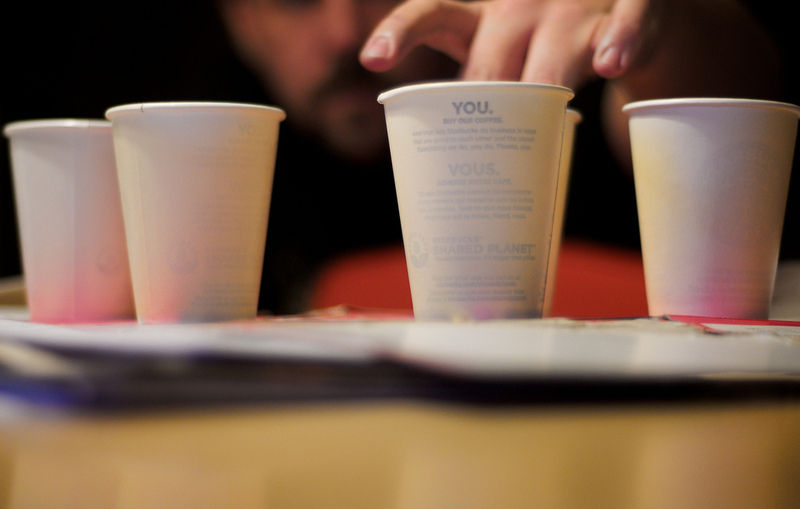 As a provider of eco cups that are truly recyclable, we love the idea of this Cupcycling initiative. Great way to give back to the globe! On a related note, we appreciate sto ries like this one from MarketWatch. The news outlet studied the impact of climate on coffee farmers in Columbia. They found that more than 90% of coffee farmers reported average temperature change. 74% of farmers said droughts had become longer and worse. While 61% of farmers indicated an increase in mountainside erosion and landslides stemming from increased rainfall. The MarketWatch study also says that 91% of farmers reported changes in the coffee plants’ flowering and fruiting cycles. Also, 75% of farmers noted an increase in pests and 59% of farmers indicated an increase in crop disease. In other news, Bellwether Coffee recently secured its first round of venture capital funding for its zero-emissions commercial coffee roaster and digital coffee bean marketplace. The company is cashin’ in on the U.S. coffee habit with this $10 million first funding! Sometimes things can’t stay the same – Irving Farm Coffee Roasters is changing its name. And this ice cream company’s changing things up for the market. Halo Top’s mixing healthy ice cream and fun flavors by the pint… and disrupting the traditional ice cream industry while they’re at it! Hope you got your Dairy Queen app out to take advantage of its BOGO deals last month. Check out our Instagram for some cool cups. Looks like this is the most “Instagrammable” ice cream treat! On trend in the ice cream world is the new puffle cone – a cone that’s chewy on the inside and crisp on the outside. Fill it with your favorite nitrogen-infused ice cream. Puffle cones are a hit at Cauldron Ice Cream! Also, as we enter into fall, it seems appropriate to note Dairy Queen’s traditional pumpkin pie blizzards. A perfect autumnal treat! With fall comes the perfect weather for a cup of coffee. Settle into this cozy season with your favorite cup of Keto coffee. Simply Pressed offers one of the best. It will give you the energy you need when you wake up from a rest! Dunkin Donuts has an array of pumpkin-flavored and maple-flavored coffee drinks to help you enjoy autumn. We’re ready for those crisp, cool fall mornings. Hope you are too!